Hi all, been looking at Brians Cak images and they look super. But the problem is that the same filter wont fit anything I have, the ST80 has only a 1/25 focuser, so would need a new focuser. The only one I have found is a gso one from Germany which is about £130 + shipping. It also wont fit the ED80 due to internal baffles......so again, a new focuser, but then the WO and upgrade ones all have the same problem. So options would be to get a new scope that it would fit. 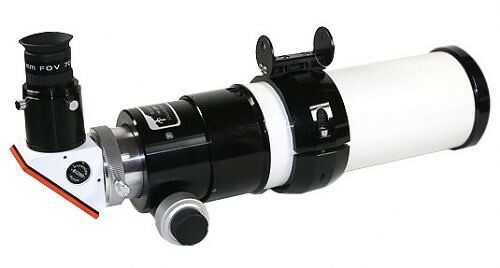 The Lunt Solar Systems Calcium-K Telescope is a refractor based system that has a precision-aligned air-spaced doublet with a 60mm aperture. The focal length is 500mm, providing a ~4.5mm image thru a 6mm blocking filter. Course focus adjustments can be made via a slide tube. Fine adjustment is achieved with a Crayford-style focuser with 10:1 reduction standard.